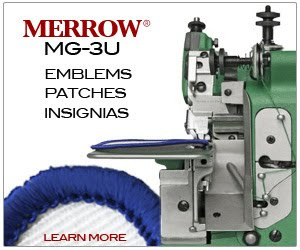 Merrowing Thread available from Emblem Edge (.com) - Merrow Sewing Machine Co. Awesome repost, how old is Merrow? 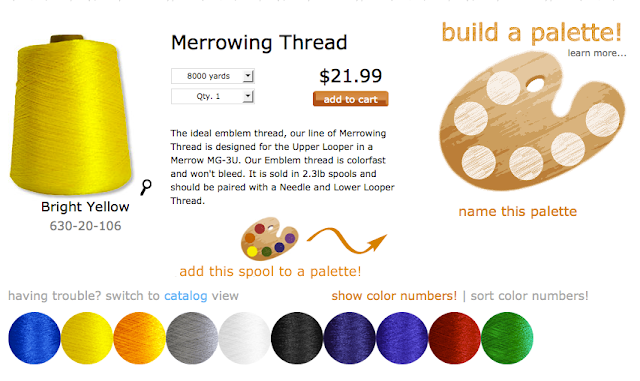 In order to create great emblems you also need to have the needle and lower looper thread. There is quite a wide variety of opinion that exists concerning what one should use in the needle and lower looper - we won't even begin to try and settle the argument - but we will let you know that if you'd like a stitch sample that shows different types of emblem edges, all you need to do is call. Perhaps if it would be of interest we'll post a selection on the blog.